When you've already had your fill of sunshine, or are looking to bag a trophy. Also, keep in mind, that's it's also generally cooler at night as well. 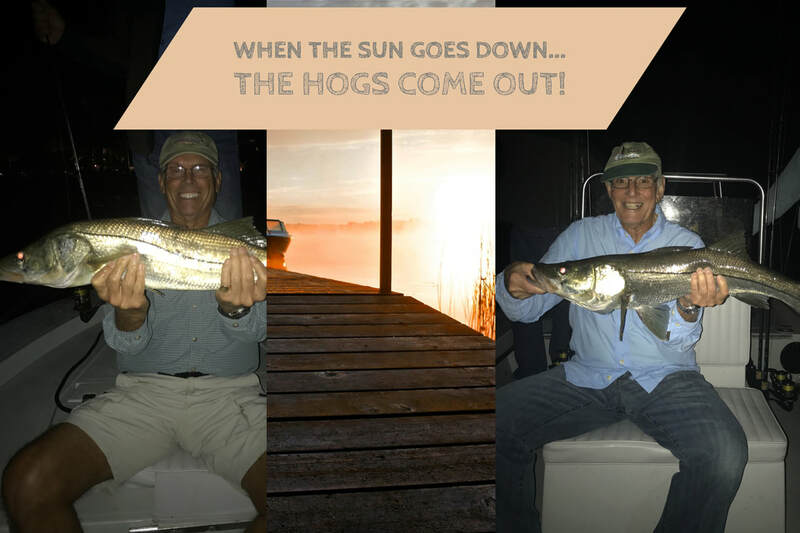 Night Fishing in the Naples FL area is both exciting and productive. Even when it might be slow during the day, night fishing will provide great Catching! ​Special techniques will be used for casting bait, lures and flies at these night time feeders. Call or email me with any questions about these trips. Caution, they are addicting!